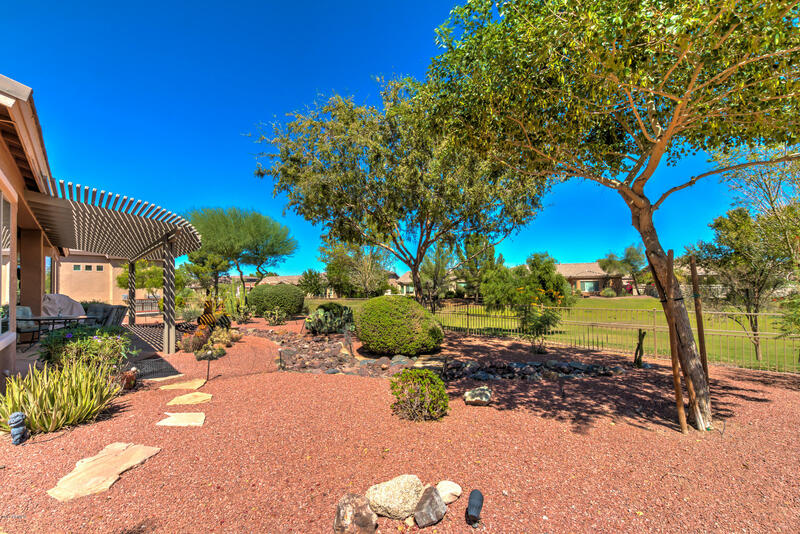 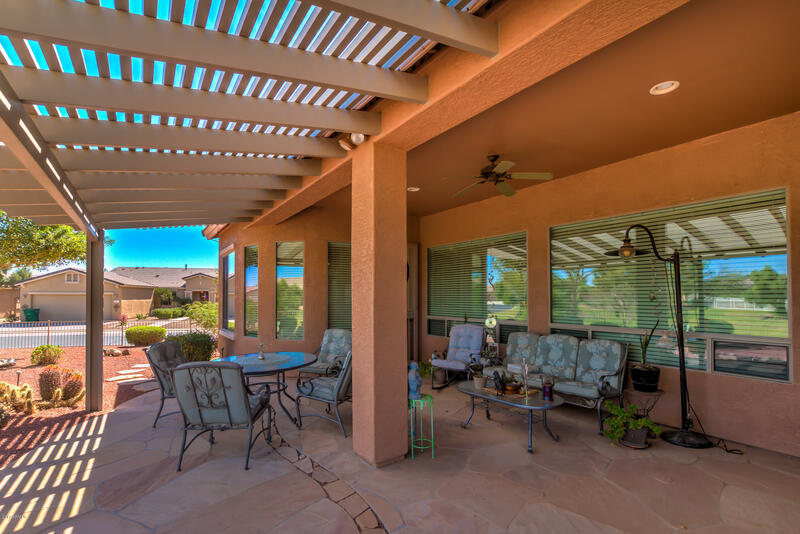 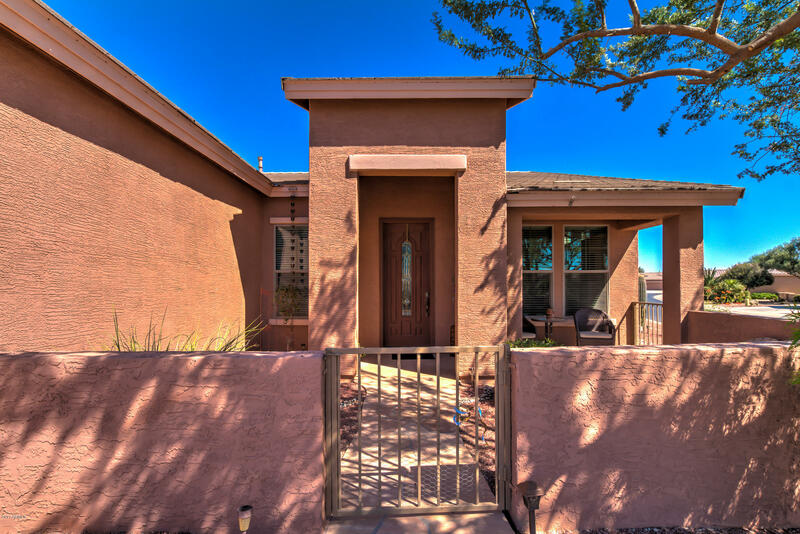 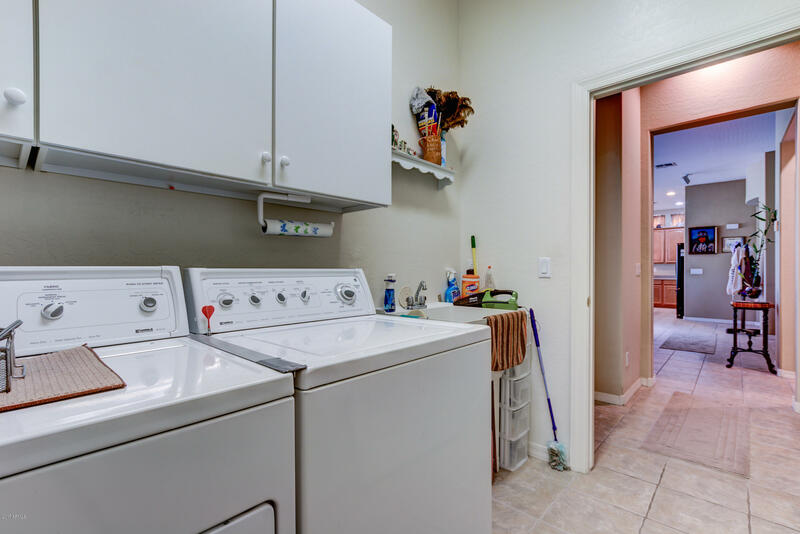 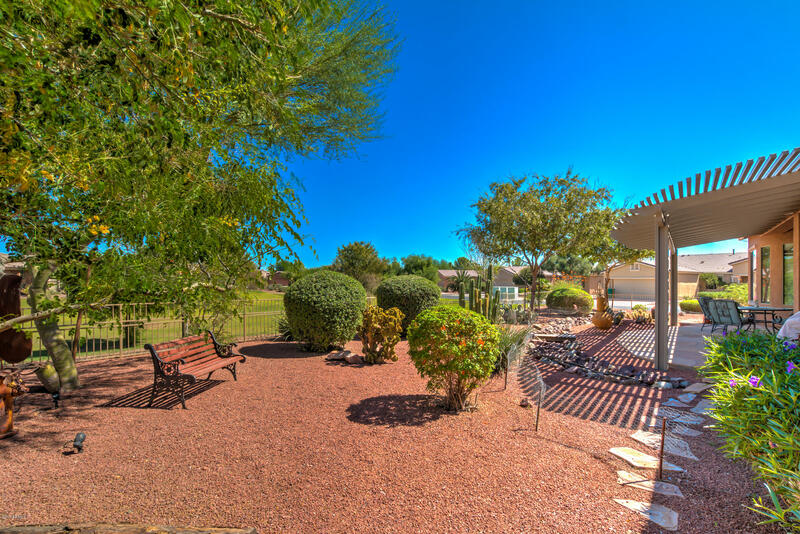 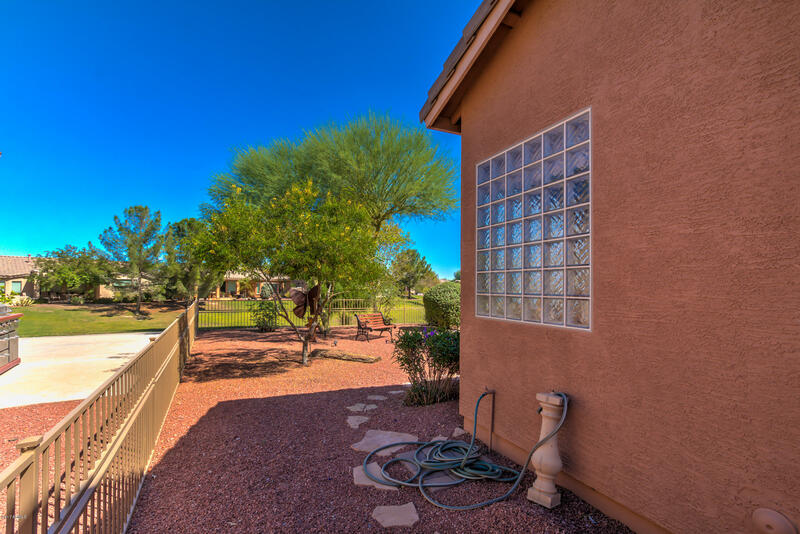 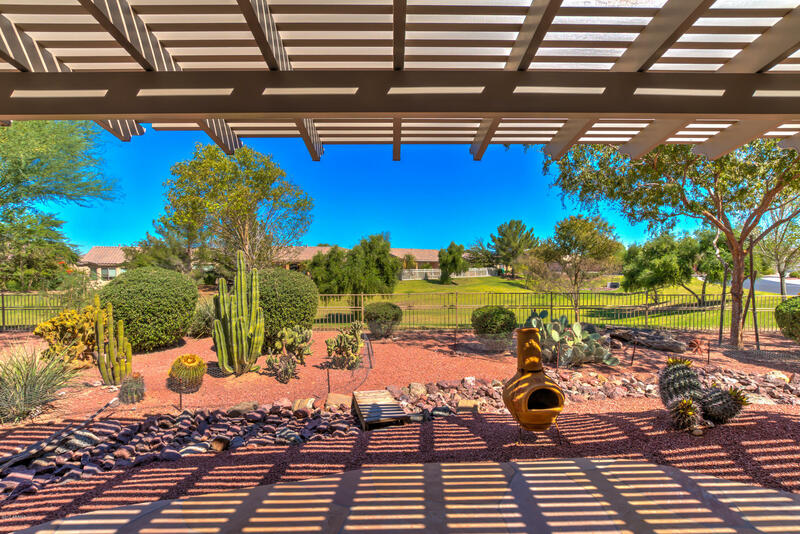 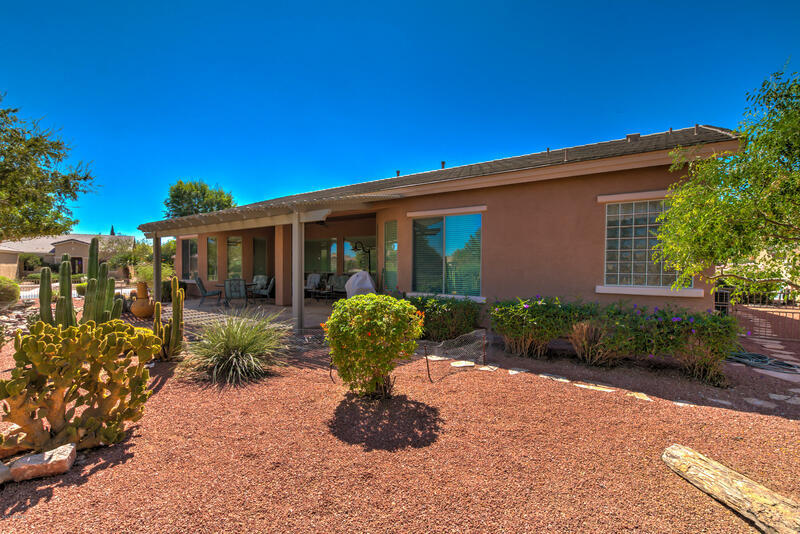 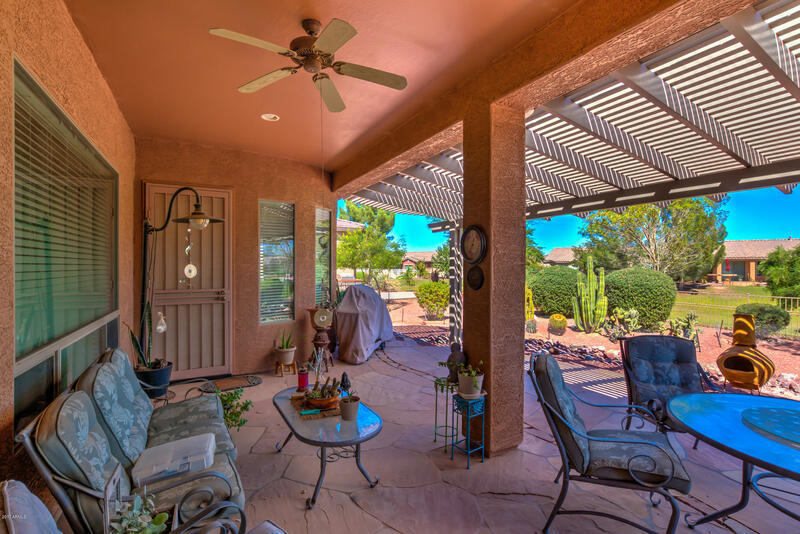 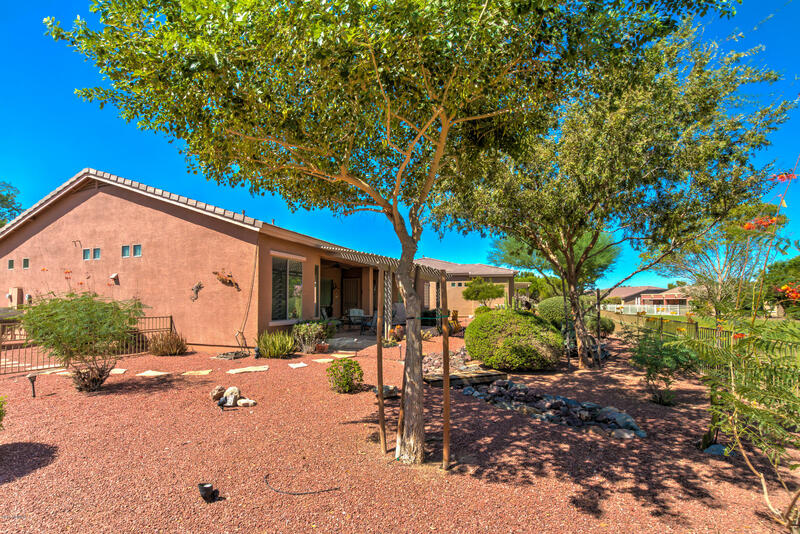 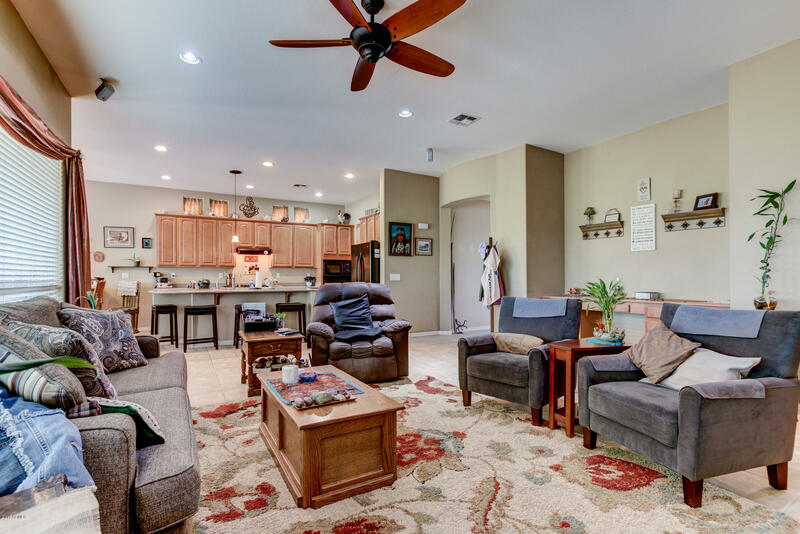 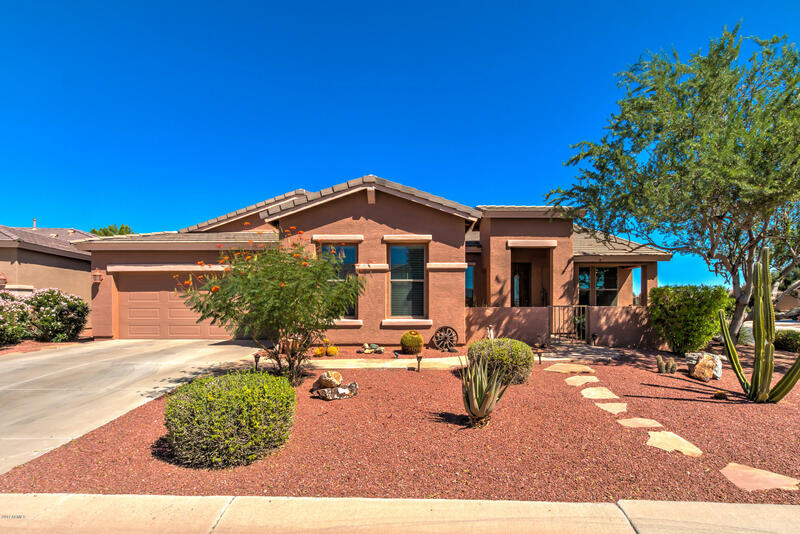 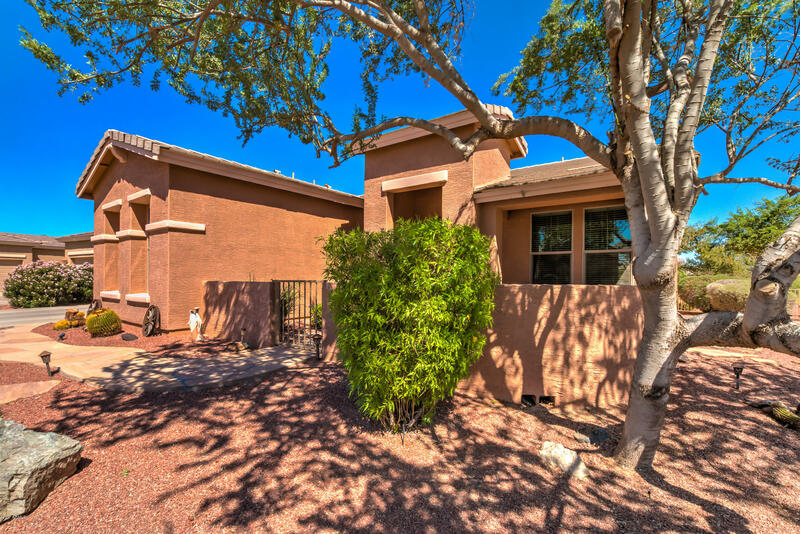 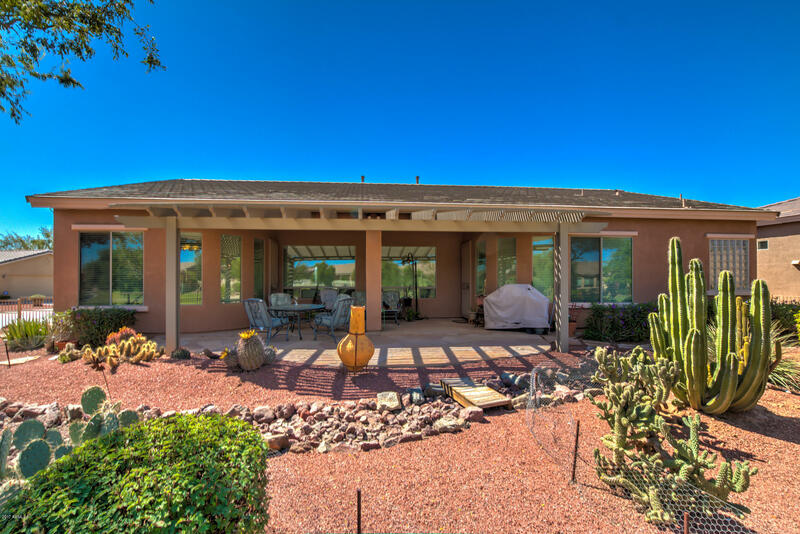 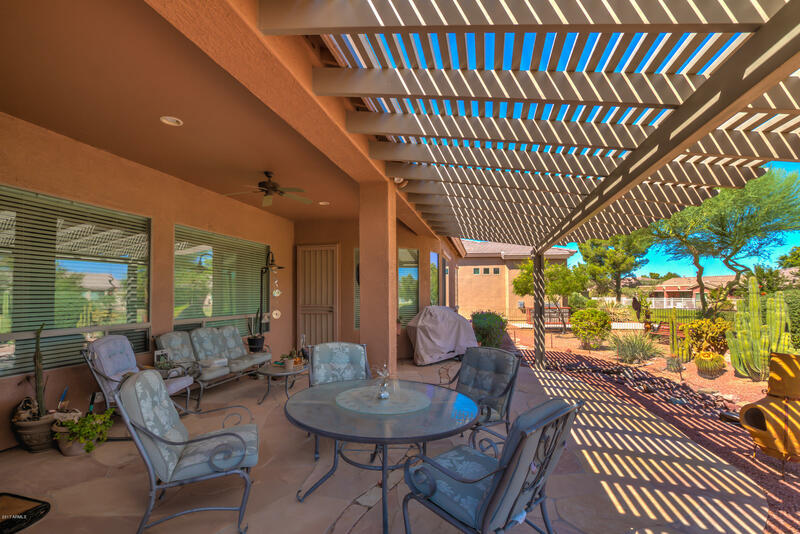 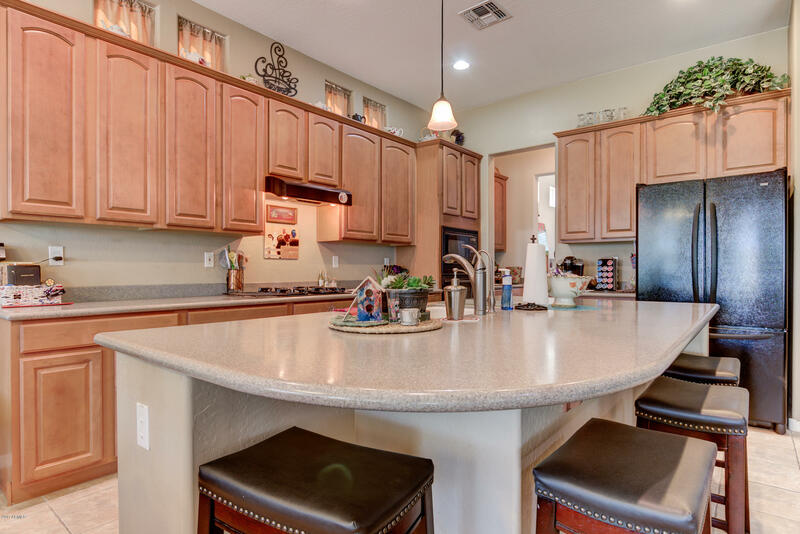 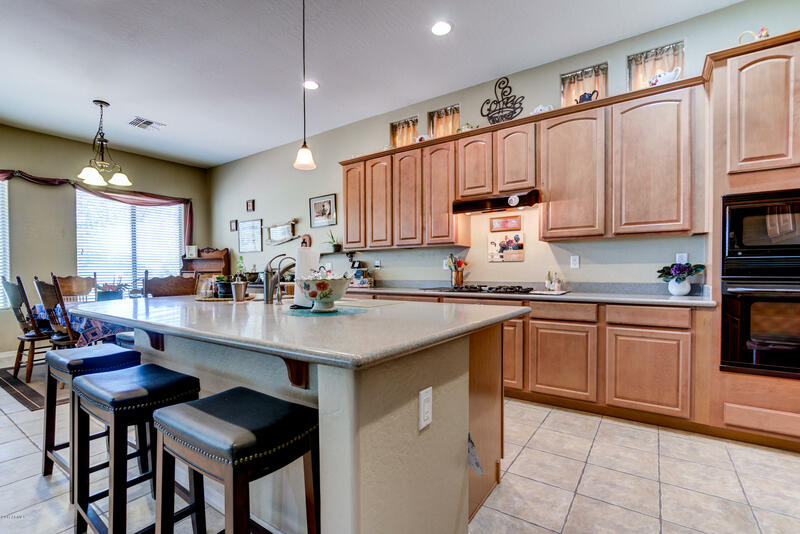 BEAUTIFUL 2 bed (plus den)/2.5 bath single level home w/ AMAZING CURB APPEAL in popular active adult community in Maricopa. 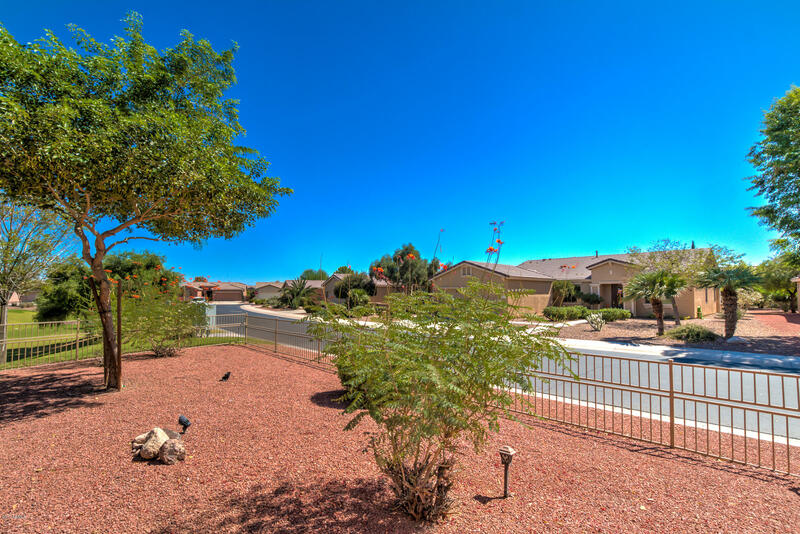 Huge corner lot on greenbelt! 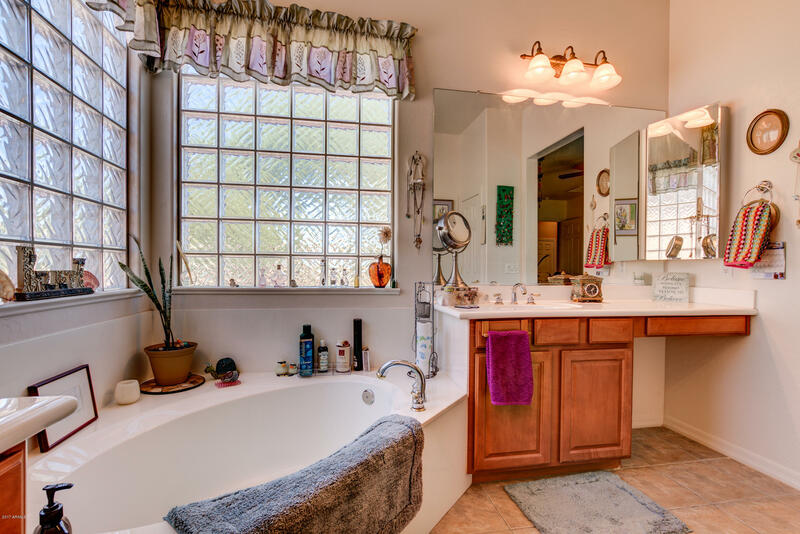 ORIGINAL OWNER has kept this home well-maintained. 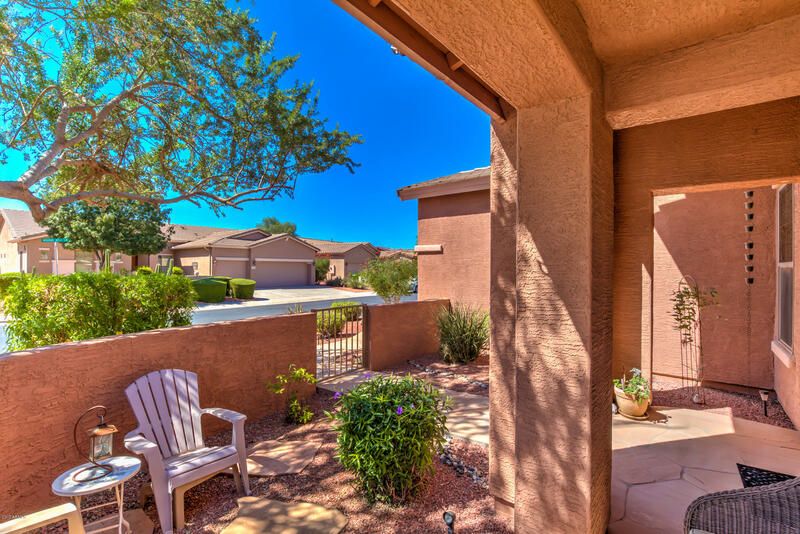 You are welcomed by a FABULOUS FRONT COURTYARD. 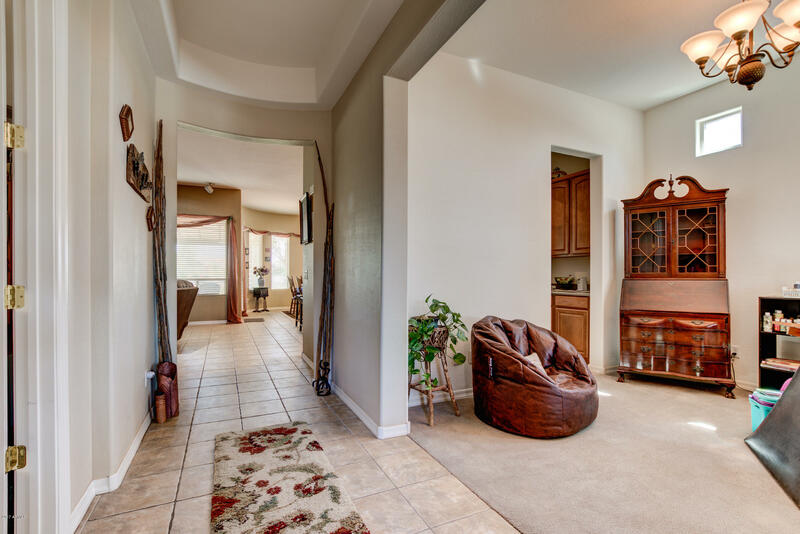 Open floor plan w/ lots of natural light. 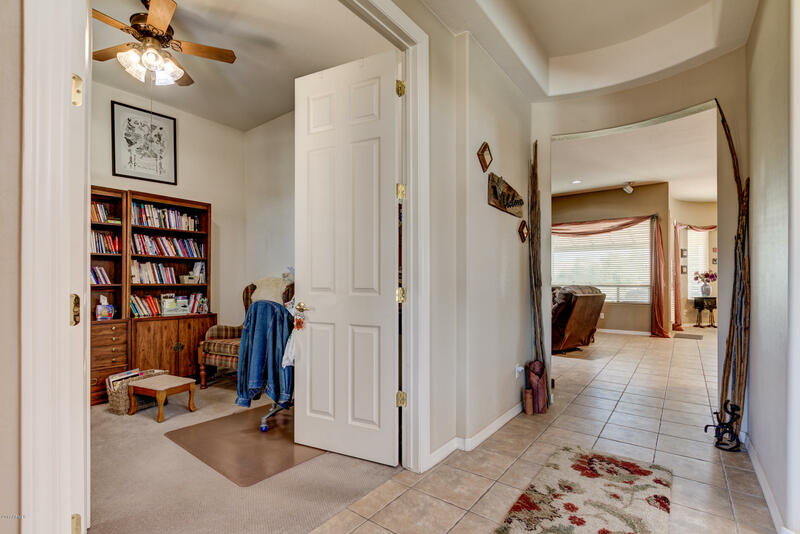 VERSATILE DEN w/ French doors offer many possibilities. 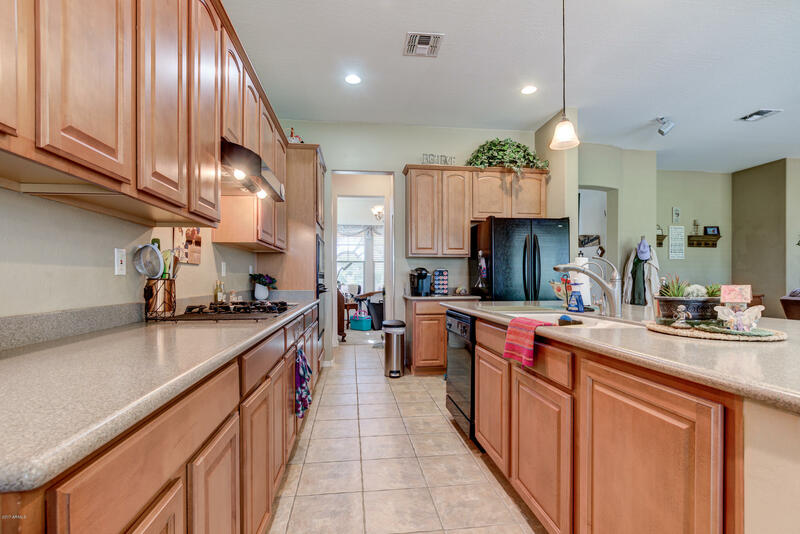 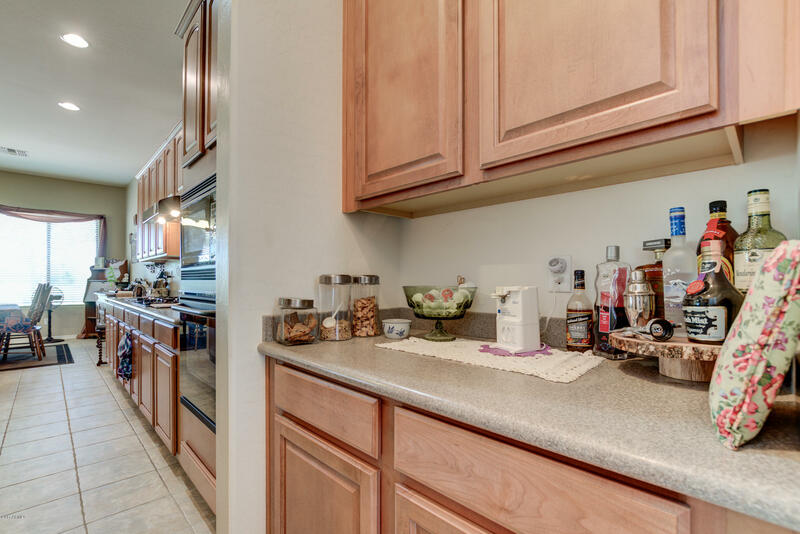 GREAT KTICHEN has lovely maple cabinets w/ rollout & endless counterpace, including a large island w/ sink & bar top seating for the whole family! 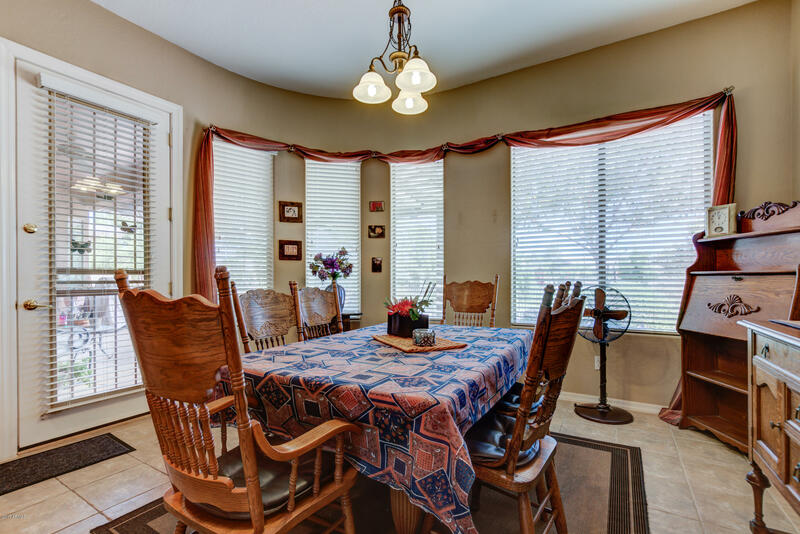 Delightful breakfast nook w/ bay windows overlooking the backyard. 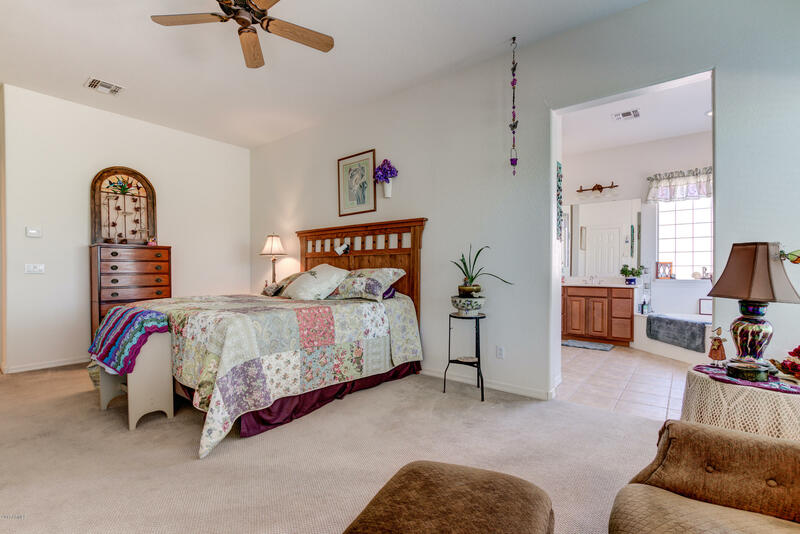 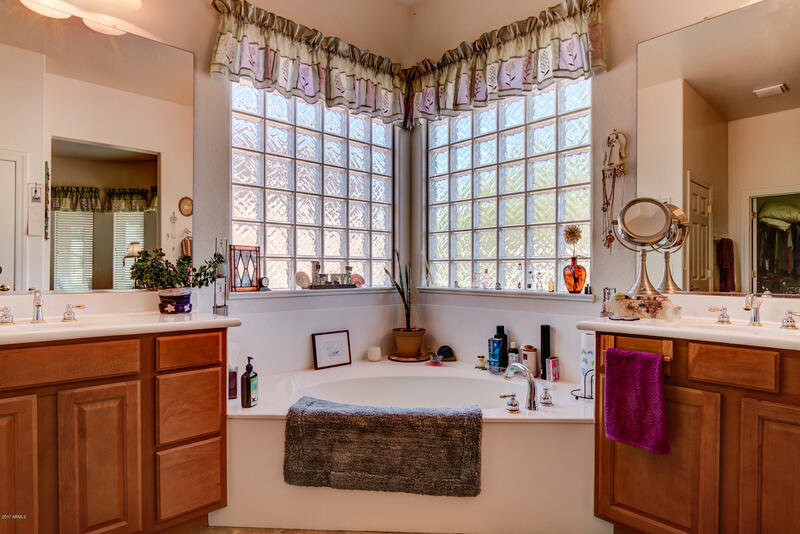 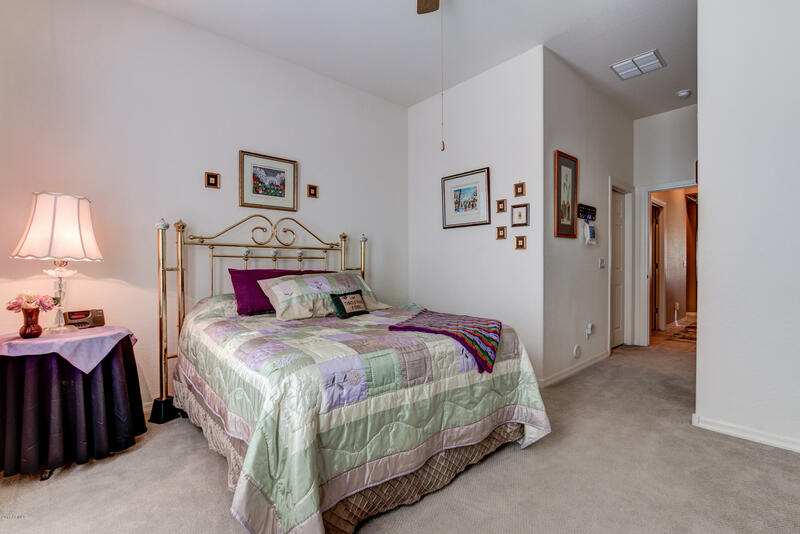 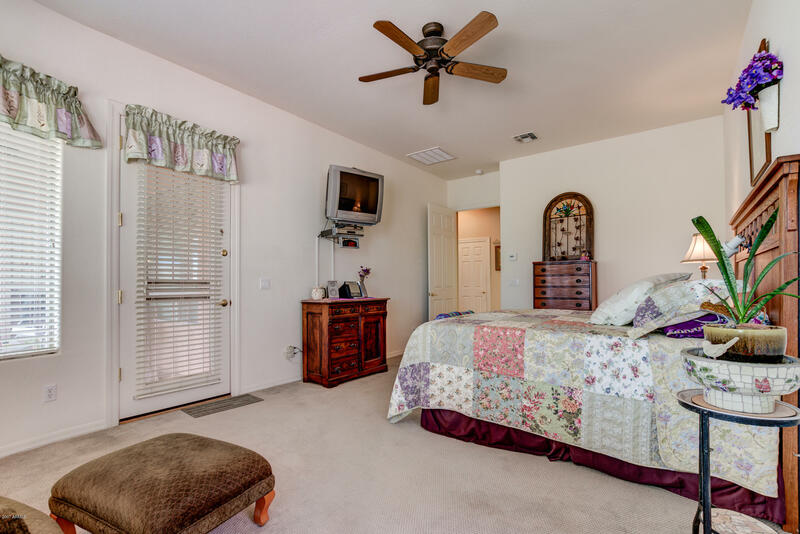 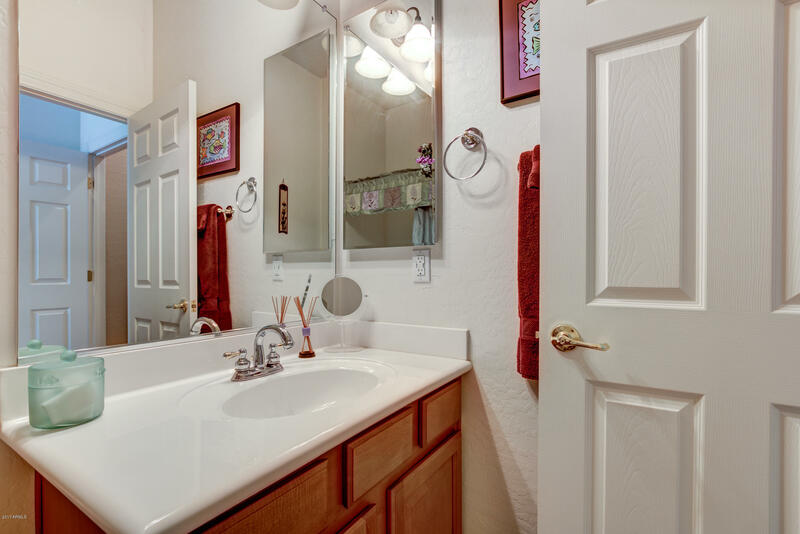 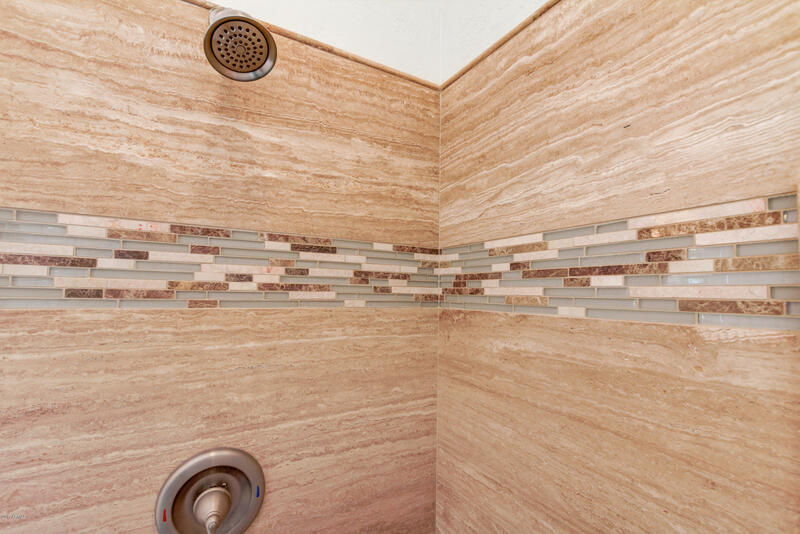 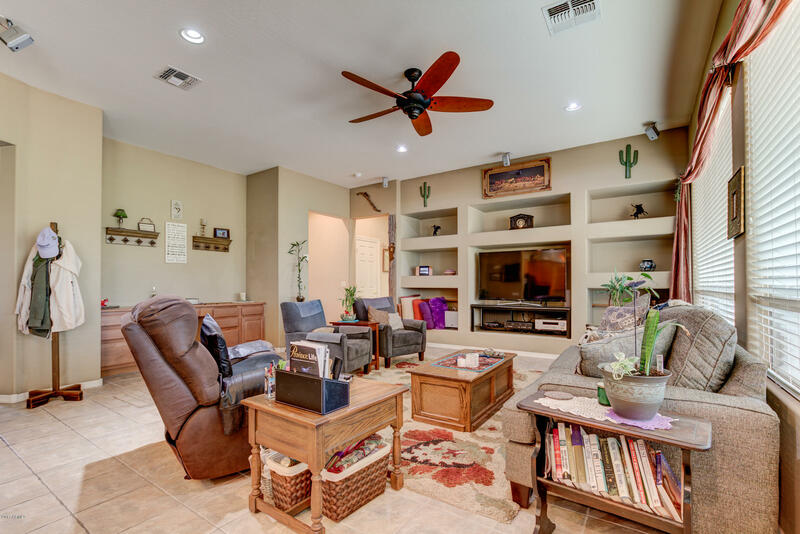 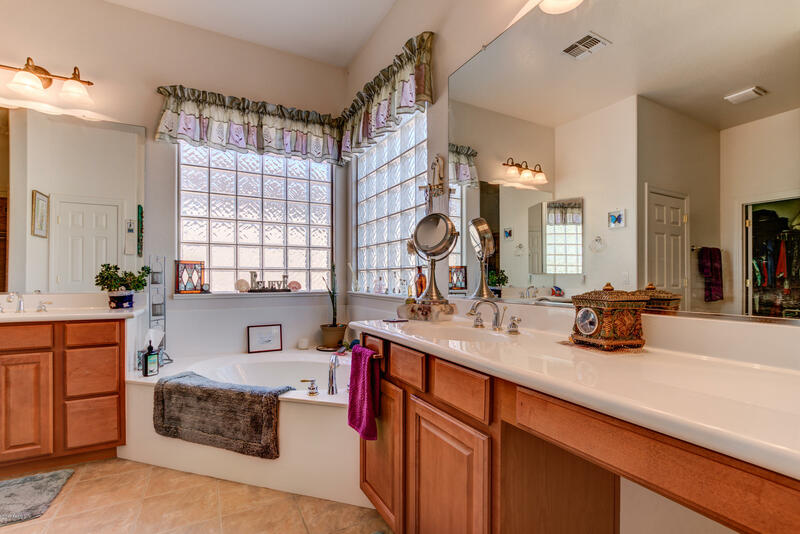 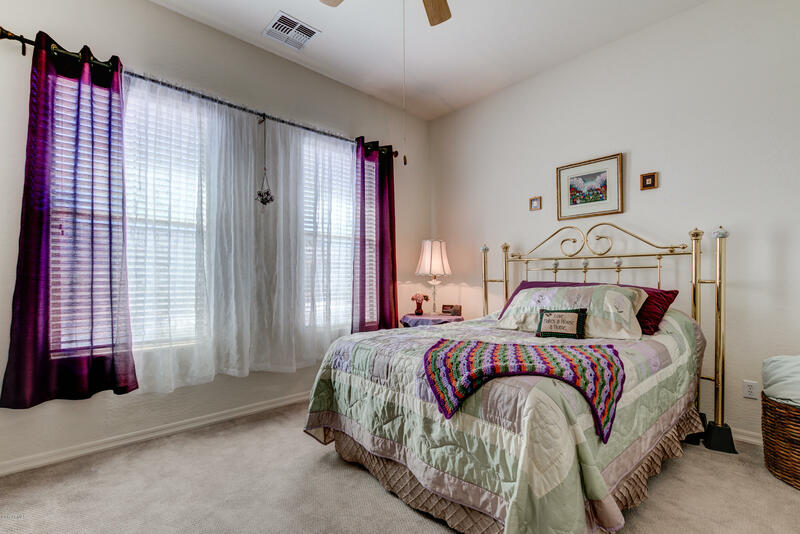 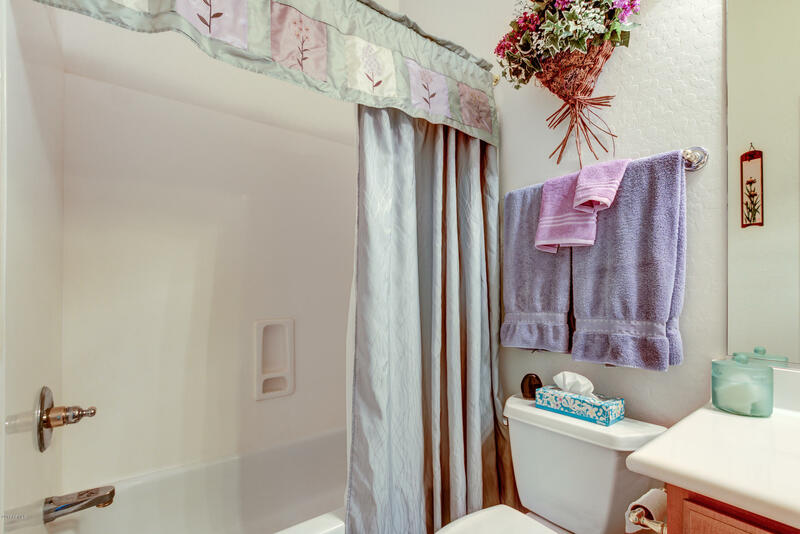 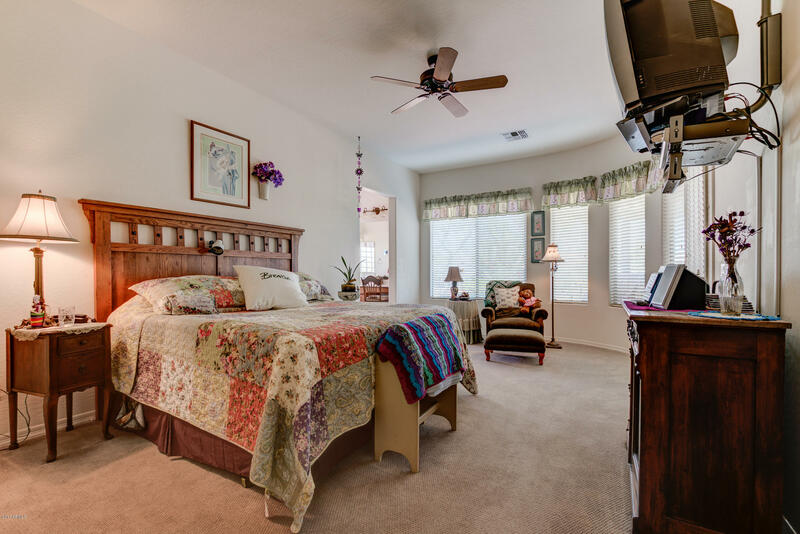 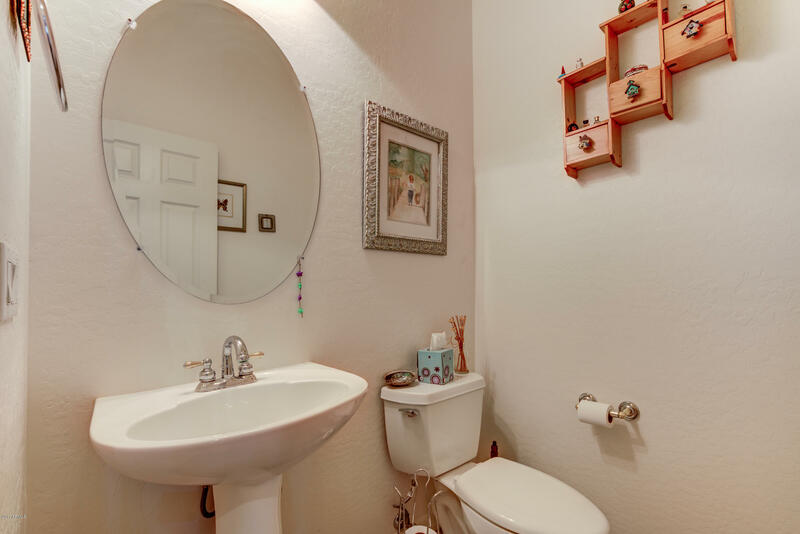 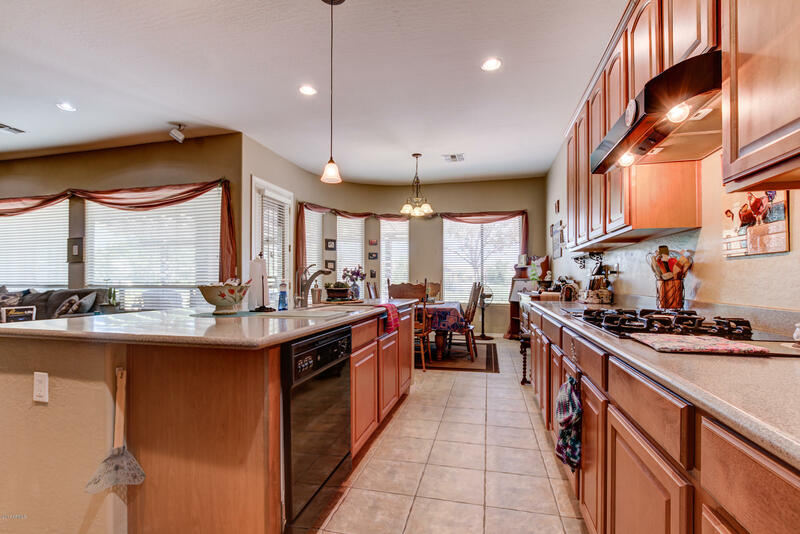 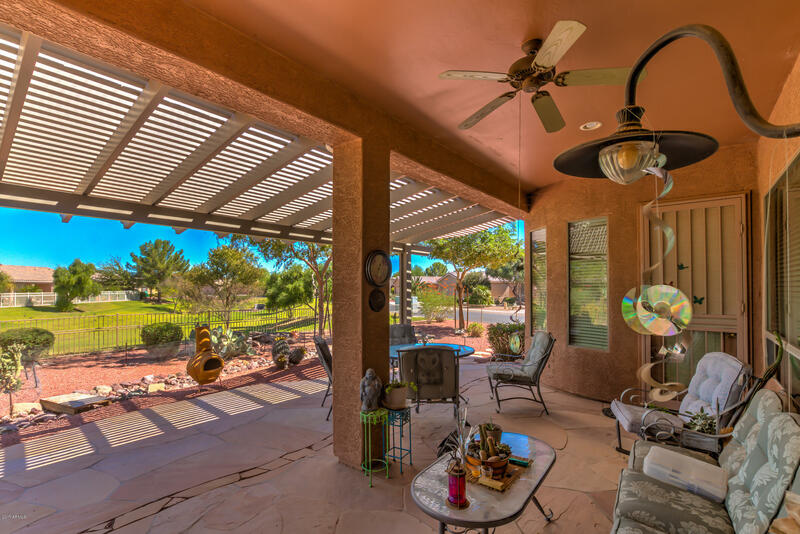 SPACIOUS PRIMARY MASTER features private door to backyard & master bath w/ separate vanities (one w/ seating area), large soaking tub, gorgeous shower w/ custom tile work, private toilet & huge walk-in closet w/ shelving.